You might also be doing foliar sprays containing supplements, or even pest control compounds. These stay on your crops unless you wash them off. I make sure that I never use pesticides like Avid on my cannabis plants. I also stop spraying anything, even Neem or other “natural” compounds, on my crops after flowers have set. And around weeks 3-4 of bloom phase, I spray my plants with pure reverse osmosis water pH balanced to 5.8, to wash off contamination of any kind. Contamination can come from air pollution. If you’re not filtering the air in your grow room, or if you allow pets or nasty people into your grow op, airborne contaminants come in and settle onto your plants. Most marijuana growers are flushing marijuana growing systems and plants a few days before harvest. Flushing marijuana cleanses your plants of nutrients salts build-up, or the presence of pollutants (usually from your water or soil) that may have stored in your cannabis plants’ tissues. Most professional marijuana growers’ll tell you that flushing marijuana creates better taste, smell, and combustibility than unflushed crops. As with many marijuana growing practices, there are bitter arguments about flushing marijuana. Some say you only need to do it if you’re feeding your plants “synthetic” hydroponics nutrients. Others say you don’t need to do it at all, or that it doesn’t work. Marijuana growers argue about how to do flushing. Some say run only distilled water for the last 5-10 days before harvest. Others say you have to use a hydroponics flushing product made by a hydroponics manufacturer or one you create yourself. If you’re growing marijuana in pure organic soil, using pure water, and using organic, GMO-free fertilizers such as Iguana Juice Grow and Iguana Juice Bloom, you probably don’t need to flush your marijuana crops. If you’re growing in true hydroponics systems such as DWC, aeroponics, and ebb and flow using only synthetic fertilizers, you should definitely flush your crops. If you’re using tap water, cheap soil like Fox Farm Ocean Forest, coco coir, or cheap synthetic hydroponics nutrients, flush your crops. There’s a little truth to the idea that flushing your crops (feeding them only water and maybe a flushing product for the last days before harvest) starves your crops of nutrition at a time when adding nutrition might create heavier, more potent yields. 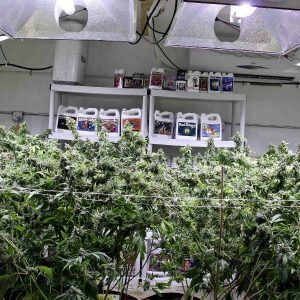 So, read this other article for a specific, easy to follow strategy that pumps your marijuana plants for more production at the end of bloom phase. When you force-feed your cannabis plants at the end of their bloom phase and then flush them, you get maximum bud and cannabinoid production and quality. You lose nothing, and gain cleaner crops. To avoid flushing starving your marijuana crops, let your crops get to the point where they’re absolutely ready to harvest, and then do the flush for 2-3 days. There’s no way that such a flush will result in lower weight or THC if you do it that way! You can use reverse osmosis or distilled water by itself, or a hydroponics flushing product, to do your flush. I use Flawless Finish because the Advanced Nutrients grower support tech people told me it’s specifically engineered for marijuana (GH refused to say if their product is for cannabis), and is designed NOT to rob plants of crucial energy and nutrients in their last days of bloom. Be careful not to over-saturate your root zone. Some flushing instructions are too heavy on the water. You don’t want to drown your roots in their last days. If you’re using a hydroponics reservoir system, drain it after you’ve run your first and second flush cycles. As yet, cannabis plant tissue samples and studies haven’t 100% nailed down whether flushing is always totally effective in eliminating all excess nutrients salts, pollutants, and other contaminants. However I can tell you from my experiences fasting (not eating any food for several days), that after a few days without taking in anything other than distilled water, my body burns stored fat, contaminants, and pollutants. 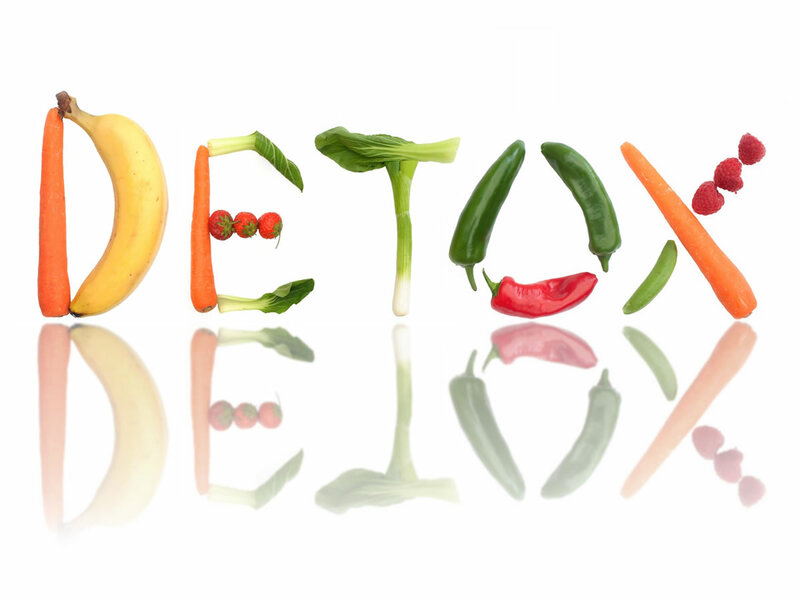 My body detoxes. I lose lots of weight, and as the fat goes way, so do toxins stored in the fat. I have more energy, and I can feel the bad stuff coming out. I’m pretty sure marijuana plants do the same kind of process. If you “starve” them, they start burning what’s in their tissues. Beware of using most hydroponics and so-called organic or natural “bloom boosters” loaded with P and K (phosphorus and potassium), and/or the wrong types (source materials) of P and K.
What happens to most cannabis growers whether they use synthetic or organic fertilizers, or even supersoil, is that they overload their crops by stacking a high P-K bloom base nutrient with high P-K bloom boosters. If growing in soil, the original soil mix might be wrong, or the grower does top-dressing or spiking that adds too much P and K to the soil zone. If you have bud that doesn’t light properly, stay lit, or burn to white ash, that bud needed to be flushed, and is loaded with excess fertilizer salts and other contaminants. Remember that periodic mini-flushes during your marijuana crop cycle can benefit your marijuana plants. One of the best times for a mini-flush is when you transition your hydroponic cannabis plants from grow phase to bloom phase. Another time is if your marijuana plants’ leaves, growth, or overall growth patterns are showing signs of nutrients problems. The main facts to remember are: flushing marijuana done right gives you tastier, cleaner buds. Is Organic Marijuana Tastier & Healthier?